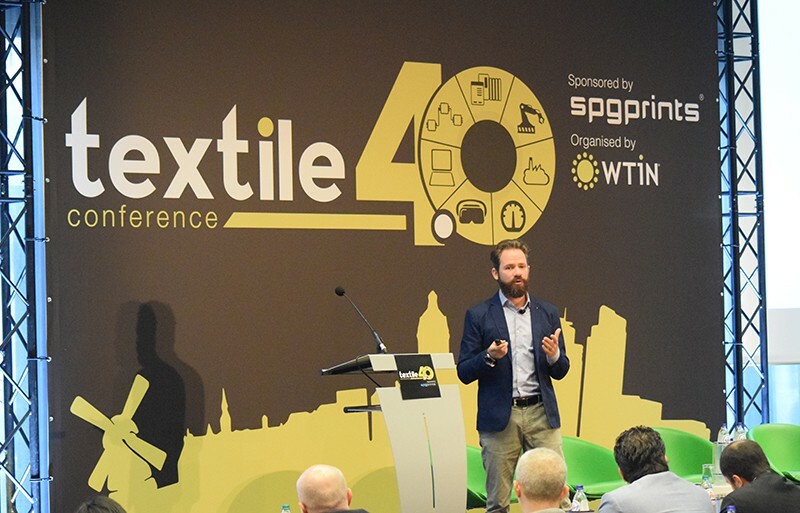 WhichPLM’s own Mark Harrop has recently returned from his role as keynote speaker at WTiN’s first Textile 4.0 conference. 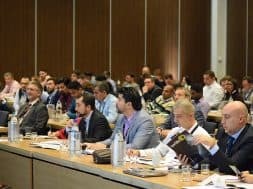 Here, Tansy Fall, Editor of Industry Digitalisation for the World Textile Information Network, reviews the conference, which took place in Amsterdam from 25-26 October 2017. 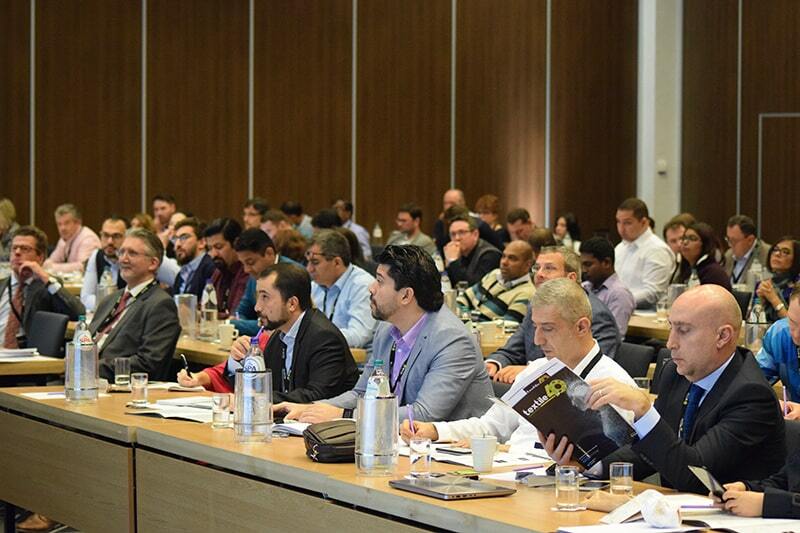 The programme explored the potential impact of Industry 4.0 and IoT innovation on the textile and apparel value chain. The textile and apparel industry is on the brink of an industrial revolution – or more likely, evolution. The much talked about theme of Industry 4.0 is swiftly becoming a technological reality, and cyber-physical systems – the integration of computation, networking, and physical processes – are being integrated into the supply chain, opening up new possibilities for harnessing data, predicting maintenance needs and enhancing efficiency. In such a diverse industry, there are many ways in which this evolution will have an impact. But, for many, what this impact will be remains ambiguous and needs further exploration. 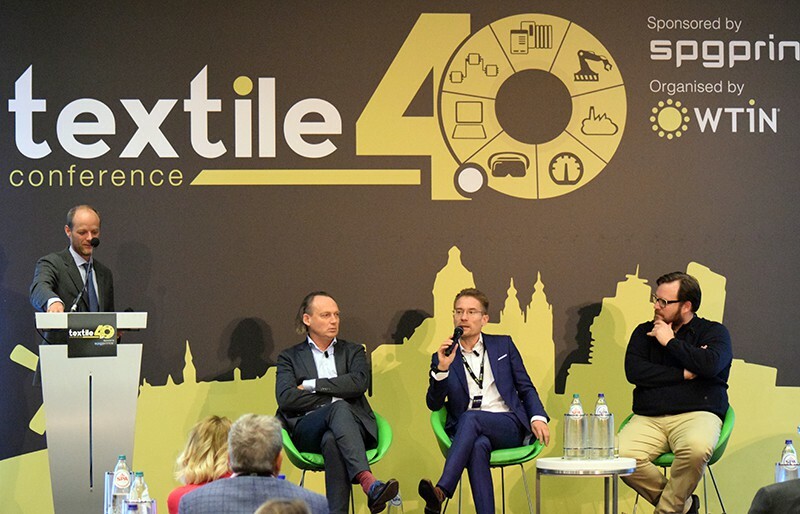 Providing a platform for the probing of Industry 4.0 topics, the inaugural Textile 4.0 Conference took place at the close of October in Amsterdam, the Netherlands, bringing together key industry players from across the textile and apparel supply chain. 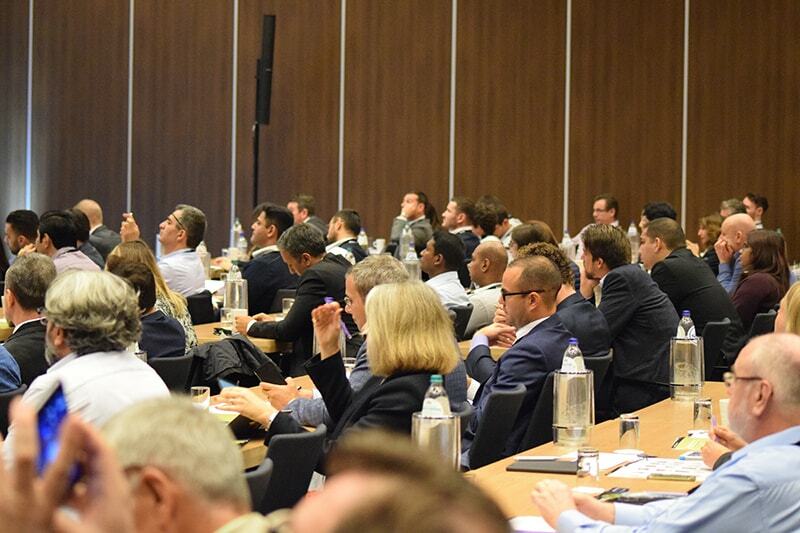 The event, from 25-26 October, was organised by World Textile Information Network (WTiN) and saw 135 pioneering delegates from 32 countries come together to discuss topics such as: technology disruptors, new business models, smart manufacturing, supply chain optimisation, and extracting value from big data. CEOs, chairmen, founders and directors of businesses made up 34% of the conference attendees, with those employed at management level making up a further 45%. These high-level delegates stimulated vibrant discussions during the multiple panel sessions that took place across the two-day event. 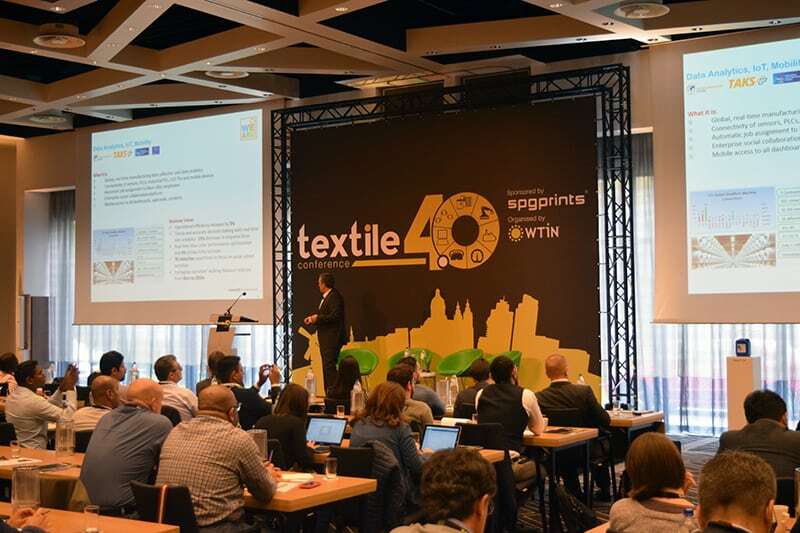 The Textile 4.0 Conference was sponsored by SPGPrints, which also organised a trip to its Boxmeer-based Experience Centre, showcasing its Pike single-pass digital textile printer alongside its other technology for rotary and digital printing. Keynote speaker Mark Harrop, CEO of the WhichPLM Group, opened the conference by looking at the supply chain from the point of view of brands and retailers. 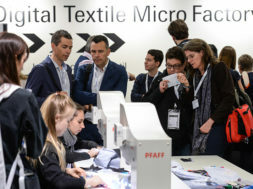 He expressed his frustration at some of the failings of current Product Lifecycle Management (PLM) systems in their efforts to truly track a textile-based product through its lifecycle, from design to recycling or waste. Harrop said that there was no cohesive or dynamic link to the rest of the supply chain. He highlighted that designs often change, even after they have been sent to a supplier for sample development, making it illogical for the apparel manufacturer simply to download a static specification file. They need to be able to interact with the PLM system, “the mindset needs to be changed” and the technology therefore needs to be improved. 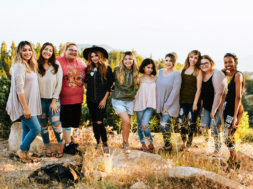 Harrop has worked in the fashion and apparel sector for over 4 decades, beginning his career in the cutting room and then focusing on product development; “I wanted to be the best in the world at product development,” he said. Harrop now acts as an industry consultant but his stint in industry saw him seek out new technological developments for enhancement of the product development process. He was one of the first people in the global apparel industry to work with the Commodore PET computer to track worker output, for example. Talking about the potential of the Internet of Things (IoT), Harrop said it is an ongoing challenge to get systems to talk together but “the fashion industry needs to better connect with its supply chain.” Within this, he emphasised that PLM needs to be able to track a product from cradle-to-grave, and it could be argued that the ultimate goal would be to track a product from cradle-to-cradle. Not only would this provide better visibility of an individual product’s journey through the supply chain, making it easier for a business to track and control production, but it would facilitate a more transparent industry overall. An open industry has been a priority for many retailers and brands in the wake of the exposure of exploitative labour practices and in the context of increasing sustainability-focused measures. Harrop highlighted the UK’s 2015 Modern Slavery Act as an example of initiatives that work towards this. The Act says that big business will be forced to make public their efforts to stop the use of slave labour by their suppliers. For the textile and apparel supply chain, said Harrop, this is being implemented in a three-tiered approach. Tier one looks at the elimination of slave labour in the final product manufacturing sector, whilst tier two focuses on the manufacture of fabric and monitors mills. And, further down the line, the Act will ensure large businesses source their materials – from thread to buttons – from ethical suppliers. It seems absurd that measures such as this haven’t come into place until 2015 – and this Act only applies to businesses in the UK and their supply chains, though we will likely see similar government led legislations emerging elsewhere in the coming years. However, part of the problem has been the complexity of the supply chain. 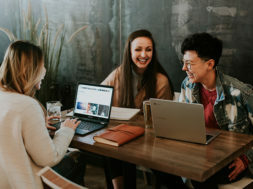 Implementation of connected PLM, throughout the supply chain, could therefore solve this problem. 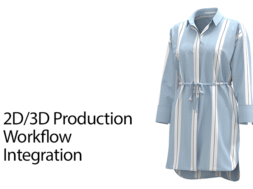 Despite his misgivings about current PLM connectivity, Harrop did state that available systems are a “must-have tool” for fashion houses and that the technology is now very affordable. 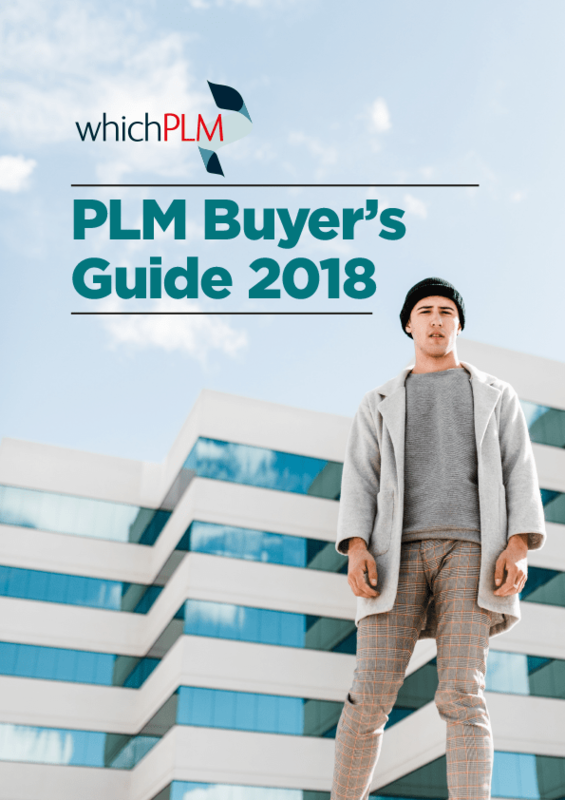 He said that PLM, as it stands, is a very mature product; it just needs to be connected – and that is where IoT/cloud platforms come in, enabling integration of existing software systems across the industry. Harrop also touched on other emerging technologies that are bringing the end consumer closer to the fashion community, and which are thus encouraging connective development between systems. The first is 3D avatars, which can be created using a combination of photography and body measurements, or more accurately by body scanning technology. Collected data on consumer body size from these systems, can be used to develop size charts and, in the future, are likely to provide automatic garment fit personalisation in the apparel manufacturing process – particularly where this data can be fed into networks that are directly connected to automatic cutters and other machinery. Harrop referred to all of these advances as “joining the dots between the complex supply chain,” and he touched on the potential that blockchain technology has to enable this and make the supply chain irrefutably transparent. 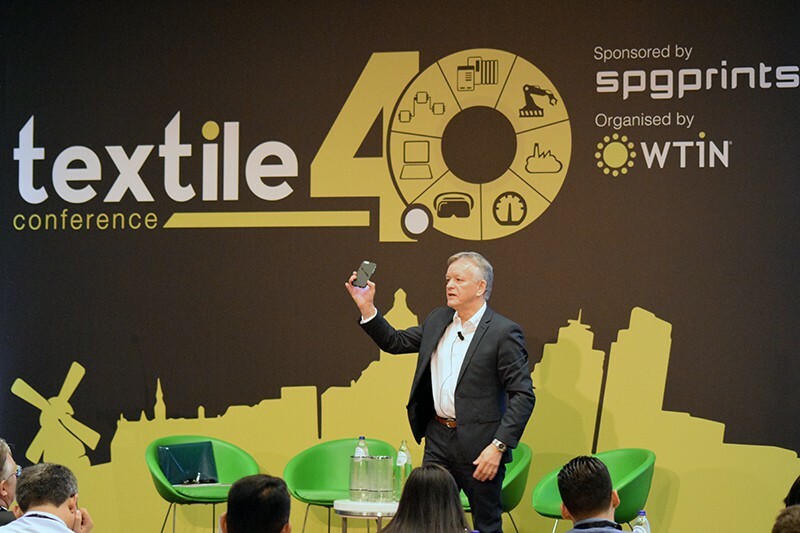 Fred Lemoine, Managing Director, Asia, at Weave Consulting Services, also touched on blockchain on the second day of the conference, saying that its implementation in the textile and apparel industry will enable people to “trust data”. He said that, at the moment, only 1% of all data collected is actually analysed and used, but that blockchain will transform this; it will enable end-to-end visibility, data security, and auditability. Lemoine said that whilst blockchain is not currently being implemented in the textile and apparel chain, there are examples of it in retail, with Walmart using blockchain to track pork, as a commodity, globally. 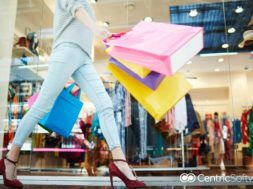 It is therefore only a matter of time before it makes its mark in fashion retail, and its supply chain. Lemoine also touched on ROI when transforming a business through digitalisation. He explained that, whilst investment in digital technology has been considered a risky business move, which is not guaranteed to yield ROI, businesses are often investing in the wrong places. He said that currently only 2% of digitalisation investments are made in supply chain technology, but this is a worthwhile investment to make – one which almost guarantees ROI. Based on this, Softwear Automation has implemented a policy to only sell its technology to businesses manufacturing for their local market. Santora said the company would be happy to sell its machinery to a company in China if they were going to serve the Chinese market, but that if they were looking to export, Softwear Automation would refuse the business. This takes into account sustainability, with particular focus on reducing the carbon footprint of the textile and apparel industry as well as proximity to the consumer. Santora’s presentation asserted that the US consumes 3.1 billion T-shirts per year and that, compared to current T-shirt production methods, Softwear Automation’s technology is 17 times faster. Santora was followed by Tekin Gülsen, global IT and Corporate Planning Director at Kordsa Global. Kordsa is a manufacturer of industrial nylon and polyester yarn, tyre cord fabric and single-end cord, which is predominantly used in the making of tyres. Within its production facilities, Kordsa has implemented new technologies that are enabling it to better manage its factory floor and workflows. Kordsa has developed an app for its employees through which it is endeavouring to make its operations as transparent as possible. 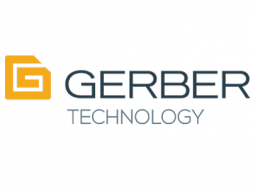 With this, the company has seen: its operational efficiency increase by 5%; timely and accurate decision making with real-time data analytics, which has led to a 15% decrease in response time; a 6% increase in staff productivity; and a saving of 70 mins/day, which are now focused on value-added activities. In addition, Kordsa has employed intelligent robotics to work alongside staff and make their jobs less physically intensive. For example, Gülsen said, prior to the implementation of new technology in Kordsa factories, an employee could be handling between 6-7 tonnes every day (as a fibre roll can weigh up to a tonne). This has now been eliminated with the installation of cobots (robots intended to physically interact with humans in a shared workspace). Whilst the benefits are obvious from an employee perspective, Gülsen added that the business has also seen improved efficiency. “All new technology needs to be aligned with corporate strategy,” he said. All three speakers focused on the positive impacts of technological disruption, but the following panel session facilitated intense questioning from the audience, particularly for Santora, from delegates not so comfortable with this concept and how it could affect their business models. Business models were a topic of further discussion on day two of the conference. 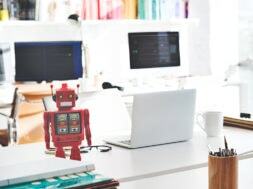 I, myself, chose to look at new businesses that have emerged as a result of digitalisation, emphasising that “better to be part of the disruption than to suffer it,” a quotation from Dr Richard Soley, executive director at the Industrial Internet Consortium (IIC). I also decided to put some theory behind the industry’s changing makeup and highlighted John Rossman’s publication The Amazon Way on IoT, in which he outlines three ‘outcome-based business models.’ These business models are: self-monitoring products; subscribe-to-this; and as-a-service. I wanted to convey to the audience that there are multiple kinds of new business models that emerge out of IoT and Industry 4.0 development, and I drew on examples from a plethora of industry sectors, from knitting technology specialist Stoll to Lycra manufacturer Invista, and looking at web-to-print, web-to-weave, the Adidas storefactory, and, imperatively, Amazon. For those who are hesitant about making substantial changes to their businesses in line with digitalisation, the looming threat of Amazon should be an encouraging factor. When it comes to ‘technology as a service’ Smith focused on the ability to sell a product before it has actually been made. He noted the proliferation of virtual products online, which are produced after an order is received, on-demand. The on-demand business model is one which has been much discussed with the rise of digital textile printing and localised manufacturing, and with the focus on personalisation for the consumer. But the underlying technology behind all of this relies on seamless data sharing between a business’ staff, its machinery, and its internet platforms. Smith said it also requires a shift in mindset, from those who consider themselves manufacturers to those who are providing manufacturing as a service. Oerlikon’s machinery is used to produce over 70% of the man-made fibres in China, and the company is now offering two online services alongside its hardware: Intelligent Plant Control (IPC 4.0) and Plant Operation Center (POC 4.0). POC 4.0 is “the first step towards a self-learning production plant,” Wissenberg said, and is an all-encompassing workflow management tool. Sensors integrated into the machines share data with the POC, hosted in the cloud, and this data is used to detect and optimise production processes. Meanwhile, if there is an issue in a plant, the IPC 4.0 – intelligent plant control – which employs augmented reality and utilises the Microsoft HoloLens glasses – enables experts to assist workers on the shop floor in maintaining machinery and dealing with issues that arise. 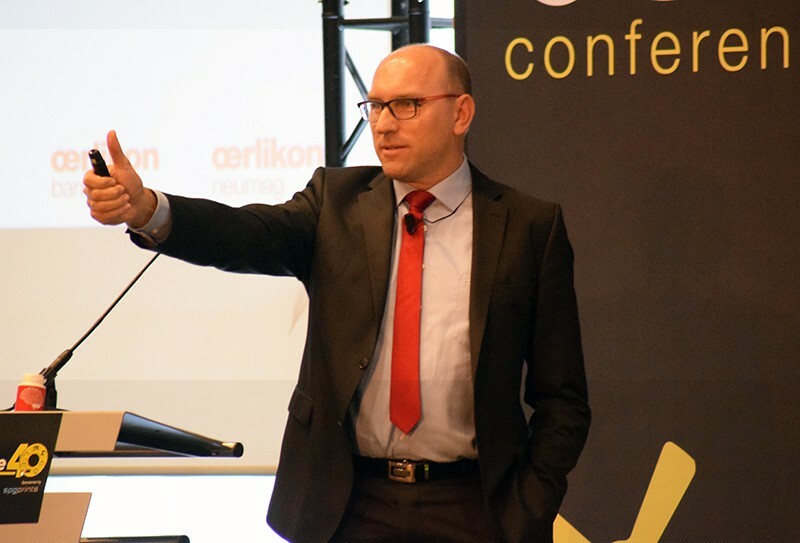 Though Oerlikon is fully embracing Industry 4.0 as a concept to further its business, Wissenberg did identify that there are both preconditions and risks that come with this technological evolution, including: data security, legislation and the internet as a mandatory requirement for business models. Chaouch Orozco therefore advised the following: all industrial actors must become aware of the threats and their consequences; business should create a risk management strategy for ICS (industrial control systems) that protects the system against possible threat sources; vulnerabilities should be fixed once discovered; businesses should create secured ICS network architectures; and awareness, knowledge and skills to protect against potential threats should be shared. A report on cyber security in textile manufacturing control systems is set to publish in the new year, on wtin.com. 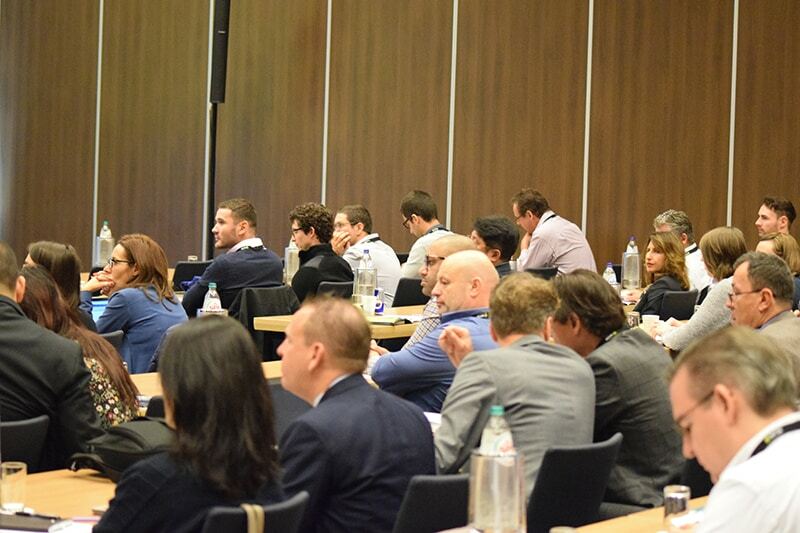 Though the conference was broadly textile focused, there was much discussion around smart apparel manufacture. One presentation that received particular interest was from Hugo Boss Solutions, the manufacturing segment of Hugo Boss, which produces over 4 million pieces of apparel a year. Döndü Ünal Haktar, Head of Corporate Management, discussed the company’s ‘digital roadmap’, which has been built upon acknowledgement of the empowered consumer. “It always starts with the people,” Ünal Haktar said, emphasising that those with a multidisciplinary skill set are now the most valuable in business. Yves-Simon Gloy, member of the Management Board, Institut für Textiltechnik der RWTH Aachen University, also focused on the important topic of infrastructure and labour. Whether there is a cohesive place for a workforce of people alongside automated manufacturing is a matter that is widely debated. For countries where manual manufacturing generates high income, automation of labour-intensive jobs is a cause for concern. It could lead to mass unemployment and could see a reduction in sourcing, as manufacturing is near-shored or reshored. However, Gloy provided a far more positive outlook for the future. 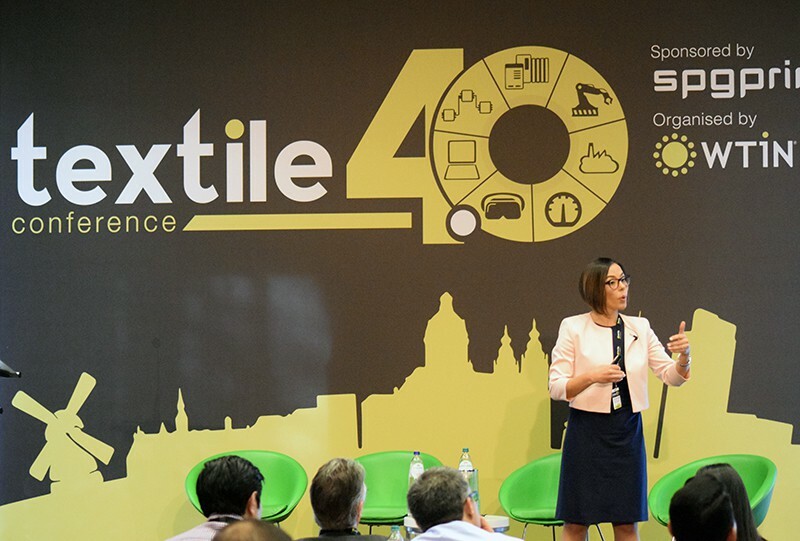 Gloy outlined the SozioTex research group, which is looking at new sociotechnical systems in the textile industry to overcome demographic challenges and ultimately “assist in filling the skills gap”. The project’s focus is on the German market, though it is applicable elsewhere, and aims to reconcile the aging skilled population of workers – where 50% of employees in German textile production are aged 50 or over – with an unskilled younger generation that are tech savvy. Gloy asserted that overall staff requirements in textile mills will not change in the near future, rather job roles will change, and businesses will adapt to the integration of new technology. Bivolino, a family business which has been making made-to-measure shirts for 125 years, with its headquarters in Belgium, has grappled with ever-changing manufacturing dynamics for apparel, which has seen its supply chain morph into different shapes over its many years in business. Michel Byvoet, CEO at Bivolino, greeted the Textile 4.0 delegates with the question: “Involving the customer in the product life cycle: would my great-grandfather be proud of me?” At the beginning of its manufacturing journey, Bivolino made all of its shirts in Belgium, employing local tailors. At that time, the product turnaround was two days, the carbon footprint was low, and the waste was marginal. This was the case up until 1950 when the business expanded its manufacturing into other parts of Europe in order to serve a larger market. The turnaround time went up to two weeks and waste also went up significantly. However, it enabled the company to serve its market. From 1980 to 2005, Bivolino again extended its market reach, working with large brands such as Zara and H&M. To accomplish larger orders, Bivolino moved its production to Asia, increasing its turnaround times to 4-24 weeks, again increasing its carbon footprint, and increasing the amount of waste associated with its products. However, the company felt like this production set-up was unsustainable. Byvoet said that in 1998, the company decided to put the customer first. In the following years, it made moves to near-shore its production, manufacturing in Morocco, Romania and Turkey. The company has reduced its carbon footprint, reduced its waste and is now back to offering a turnaround time of two weeks. It also offers made-to-measure shirts on demand and has launched Bivolino Services, a collaborative platform for e-custom fit apparel. Going forward, the company is focused on improving this with a circular economy model, reducing the turnaround time to three days with the establishment of micro-plants, fab-labs, and home-labs. Twine Solutions’ VP of Product and Marketing, Yariv Bustan, presented on the possibilities made available with the company’s ‘on-demand inkjet printing on thread’ technology. He discussed the traditional yarn dyeing process, in which yarn needs to be colour matched and dyed in bulk, influencing minimum order quantity, and compared it to Twine’s True Color Capture software and its Digital Selective Treatment machinery. 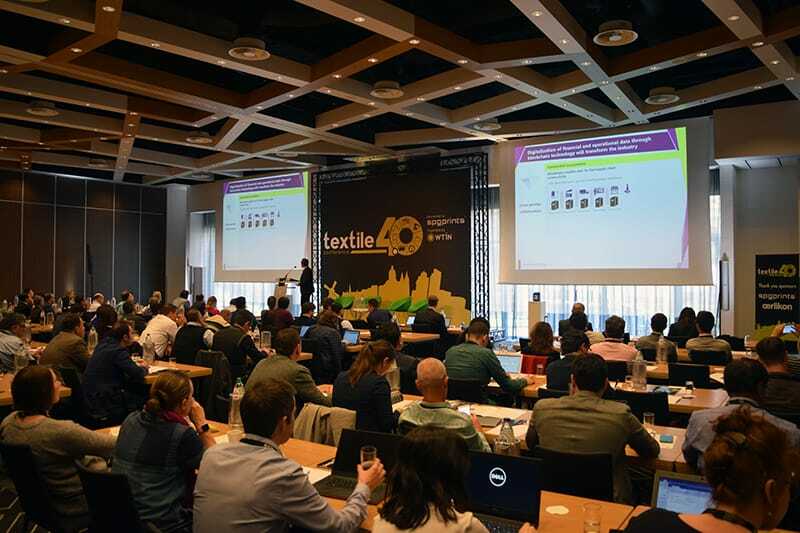 Bustan said that The Digital Selective Treatment enables just-in-time production of yarn dyeing – for polyester fibres at the moment but with the objective to test the technology on all fibre and yarn types. The technology is also as small as an office printer and can therefore be installed anywhere. Bustan added that this technology could remove three stages from the yarn dyeing production process, in conjunction with the True Color Capture, colour management software. Akin to the focus of the SoftWear Automation presentation and that from Bivolino, Bustan noted the potential for localised manufacturing that the Twine technology can provide, reducing carbon footprints and enabling on demand manufacturing. A further technology development which is set to have a huge impact on the textile and apparel industry is artificial intelligence (AI). Jamie Potter, CEO and Co-founder of Flexciton, provider of AI powered planning and scheduling for manufacturing, provided examples of how AI can be used to manage product output in a factory, where multiple machines are working alongside each other at once. Potter’s presentation caused some debate over differing definitions of what AI actually is, with some asserting that AI should be able to carry out action independently, on machines for example. However, whilst this may be the AI of the future, AI as it stands now is being used to intelligently analyse data that it would be impossible for a human to do. And this is not just through human developed algorithms as Potter said, Flexciton’s AI technology can learn and predict production trends in its analysis of big data generated in the manufacturing process. This practical use of big data was also built on in Anne Mette Høyer’s presentation. 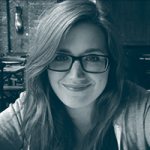 Mette Høyer is Head of Business Relations – IoT Predictive Maintenance & Asset Intelligence, SAP. Focusing on the supply chain, she noted that the cost of poor quality escalates as the inception point moves further along the supply chain, and that it is therefore critical to harness data in order to prevent quality issues at all stages. SAP has already begun to work with textile businesses, including carpet manufacturer Mohawk, Mette Høyer said. Using SAP software, Mohawk was able to achieve objectives that led to: operation cost reduction, a reduction in warranty costs, and increased consumer satisfaction. And, in addition, Mohawk are now able to run root cause analysis for quality issues in the carpet production process, which tracks product complaints back to partial products and production parameters, analysing data from different sources. 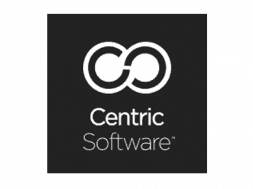 SAP offers a variety of excellent software solutions industry. Though it wasn’t mentioned in Mette Høyer’s presentation, the SAP Asset Intelligence Network is one of note, and the video below is an exemplification of the aims of Industry 4.0 technology. 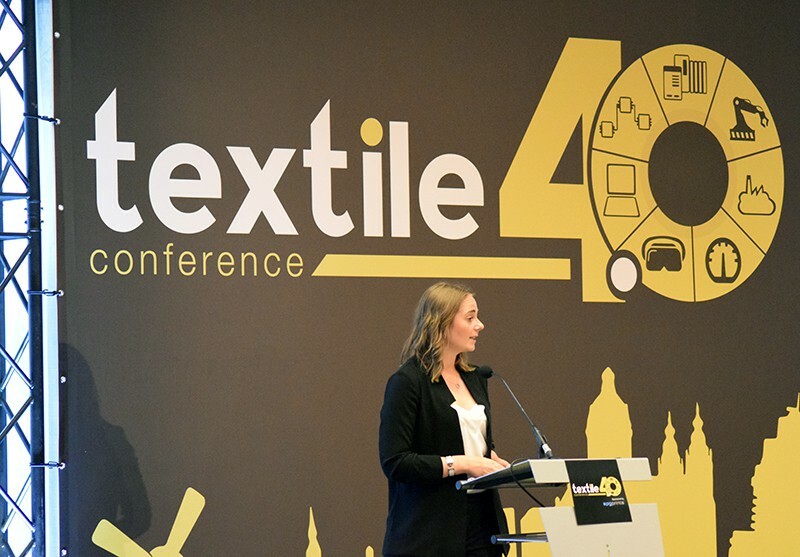 The penultimate session of the Textile 4.0 Conference saw presentations and discussion amongst key industry associations: the International Apparel Federation (IAF); EURATEX, the umbrella body for the European textile industry; MODINT, the Netherlands’ textile, apparel and accessories association; and the Russian Fashion Council. Matthijs Crietee, Secretary General, IAF, noted the important role associations play in communicating industry goals with governments and, in this case, what impact that could have on the uptake of new digital technologies. At a European level and on a country level, there are now a number of initiatives that are focused on the digitalisation of the textile and apparel industry. Lutz Walter, R&D Manager, EURATEX, highlighted aims of the ETP – a members association focused on developing a research agenda for the European textile and clothing industry, for which Walter is also the Secretary General – whilst Andrei Deyneko, Head of Research and Development, Russian Fashion Council, outlined the Council’s Vision 2035 roadmap for its textile and apparel industry. Whilst many developments of this kind in Russia are government funded, the Russian Fashion Council is an independent body that has tasked itself with bringing Russia’s industry in line with its European neighbours and international competitors. 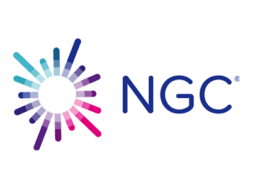 Deyneko said the association is looking to create an interface between researchers, designers and technologists that enables cross-disciplinary working. Its roadmap also includes: establishment of factories of the future; harnessing of venture capital funding for industry development; and providing accelerator programmes for designers that provide an outlet for their work, as well as providing them with practical business training. This kind of work is something that MODINT is already implementing in the Netherlands, said the association’s economist, Rens Tap. 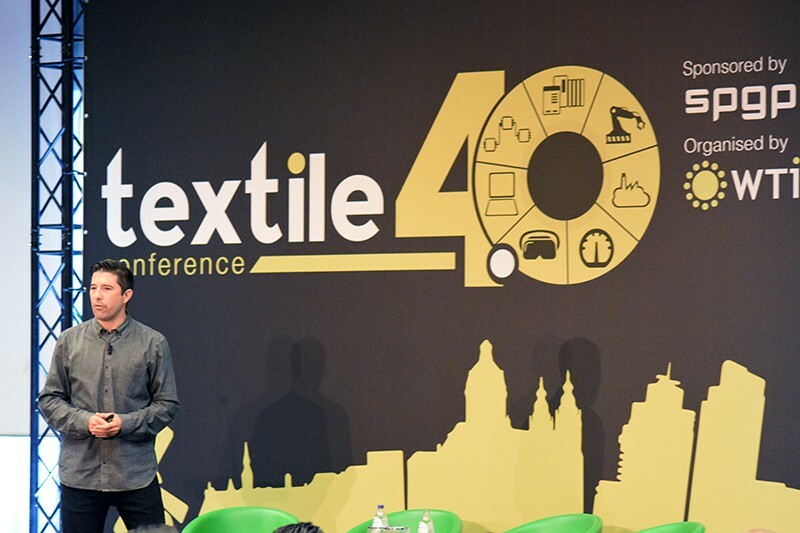 He highlighted projects such as The Girl and the Machine – a B2C business that utilises Shima Seiki’s whole garment knitting technology and an e-commerce platform to offer knitwear on demand – and interdisciplinary projects in areas of health and construction. MODINT also collaborates with technical schools, SMEs, NGOs and start-ups across the Netherlands. The panel session which followed interrogated barriers to digital adoption in industry as well as pointing to progress that is being made. The panel agreed that one barrier to adoption comes from a lack of representation for industry needs at a European level and that legislation in Europe also hinders progression of industry compared to international competitors. Rather than giving you my opinion on the success of the event, I want to finish by sharing the opinions of some of the conference delegates. 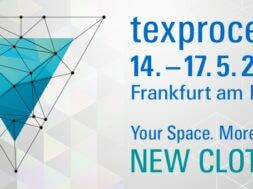 And, I look forward to seeing you at the next Textile 4.0 Conference. previous Why Recreate a Broken Process?